Higher interest rates encourage people to withdraw from riskier assets and be more inclined to hold cash. The general public may be more conscientious about these decisions than market analysts (tend to) give them credit, though it’s so complex that we never really know how people will react. The two options for your wealth remain the same: the possibility of a higher return with higher risk, or a lower return with lower risk. As rates are slowly increased, some stocks are likely to drop – and the bigger the hike, the greater the propensity for the market to slow overall. But not everyone sees this as a negative thing, particularly when taking a long-term view. Yes, a recession could occur. But you can bet that before any rate rises occur, the Fed and the RBA are making sure that the likelihood of a recession is remote. After all, that’s the primary reason they set interest rates. Are we too used to low interest rates? We now find ourselves in a situation where, in the US and Australia, we are used to low interest rates. Having lived in this environment for several years, and been struck with the horror of the GFC (even if more from afar than our US counterparts), it could be an interesting transition to say the least. It hit record lows before slightly recovering over the past year. 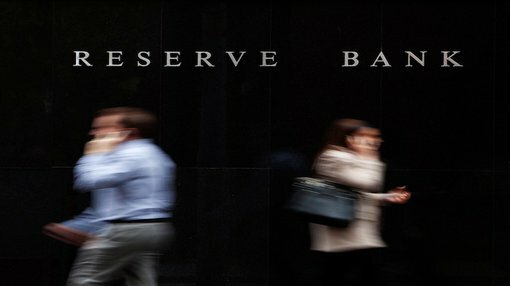 The RBA hasn’t set interest rates above 5% since 2008. This means that for those of us who have ‘come of age’ in that era — those who might be looking to buy a house, for example, or get married and have kids — we are fairly used to our money in the bank not making us money. The impacts of these broad scale changes are always about context – a switch to a 3% interest rate 20 years ago (a drop from what was then about a 5% rate) could be a significant boost to stocks and the property market. People had become accustomed to interest rates in the teens, and even as high as 17.5% – that’s what it was in Australia in 1990 (unfathomable to the millennial). But a change from 1.5% to 3%, with a whole generation of 20 and 30-somethings used to low rates and global financial crises...? It’s hard to say what the reaction could be. But it may not be as straight forward as in the past. Deflation is not a term most investors like to hear – or really anybody in the business world. Deflation, being the reverse of inflation where cash actually increases in value and prices drop, is a pretty scary prospect, which is why nobody wants to spook the market by talking about it. The thing about deflation is it can be hard to stop. Which makes sense: if you believe prices are going to go down and your cash will get you more in future, what do you do? You put off spending. And then everyone else does. And before we know it the whole merry go round comes to a grinding halt. Just like cash becomes ‘homeless’ during bouts of inflation – where does it belong, where can it go? – so it becomes King in deflation. And that’s what lower interest rates are supposed to tackle to begin with — would-be investors playing it safe and holding cash. Deflation is a possible outcome of future rate rises; but it doesn’t have to be. We’ve never really been in this situation before so it’s hard to predict with certainty, hence why the RBA and the Federal Reserve are making moves at a very slow pace. When interest rates are really low, people begin making money decisions based on cheap access to money. Mortgage rates are low, why not buy a house? This can lead to artificially inflated house prices: as demand goes up thanks to easy access to money, that demand is reflected in the price. And we get bubbles, and eventually... they burst. However, when there’s a choice between keeping your wealth in a cash account with a decent interest rate or pouring your money into the stock market... people are more likely to make decisions based on the fundamentals of the investment, rather than out of desperation. In that process, truly worthwhile deals – and companies – become more apparent. While the ones which became more appealing due to easy access to money tend to not do so well once rates are raised. Perhaps like most things in life, making a decision out of positive motivation, such as owning a stake in a great company – as opposed to making a decision out of fear of negative consequences, like your cash losing its value – is a better path to long-term success. It can act as a ‘separating the wheat from the chaff’ moment – not pain-free, but sometimes it can bring about a necessary cleanse.